The expression of the latest trends in terms of design, colors, finishing. 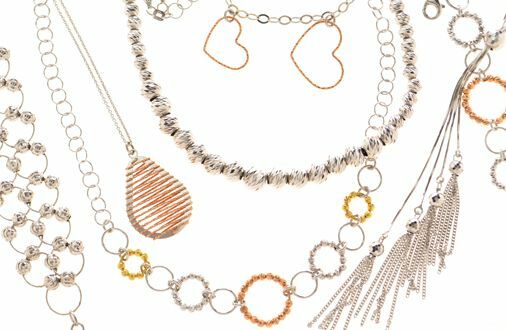 A range of items in which stones, pendants, diamond cut beads combined with chains create unlimited possibilities of choice. Designed for those customers who wish to propose a selection always up to date with the latest trends, this collection is the top in terms of creativity and variety of choice.